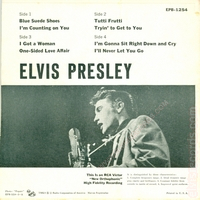 Cover Front : Titles at top in black print on white back. Catalog number upper right corner. 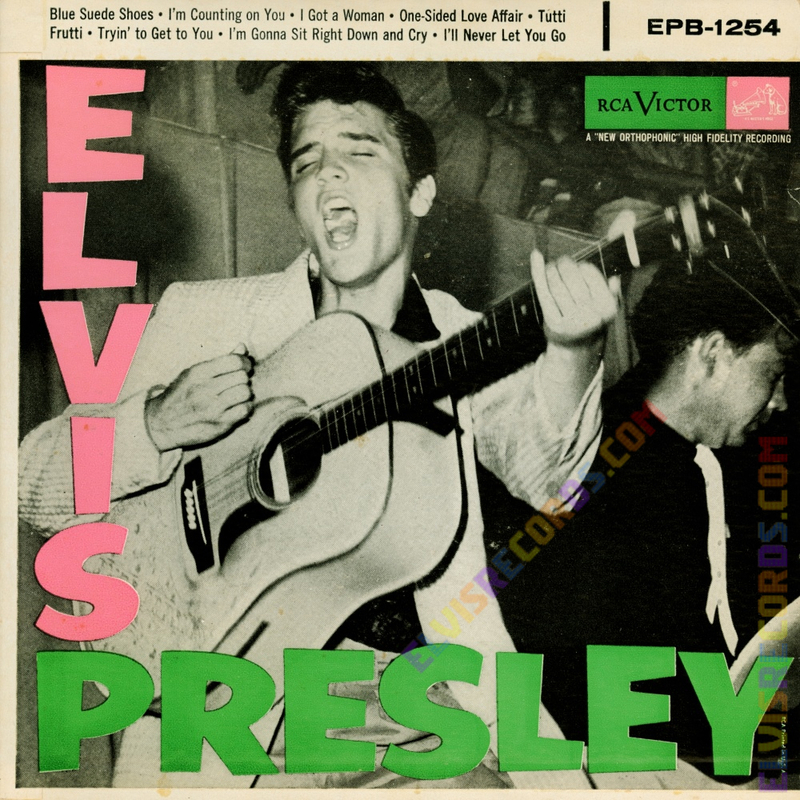 Elvis in light or dark pink letters. 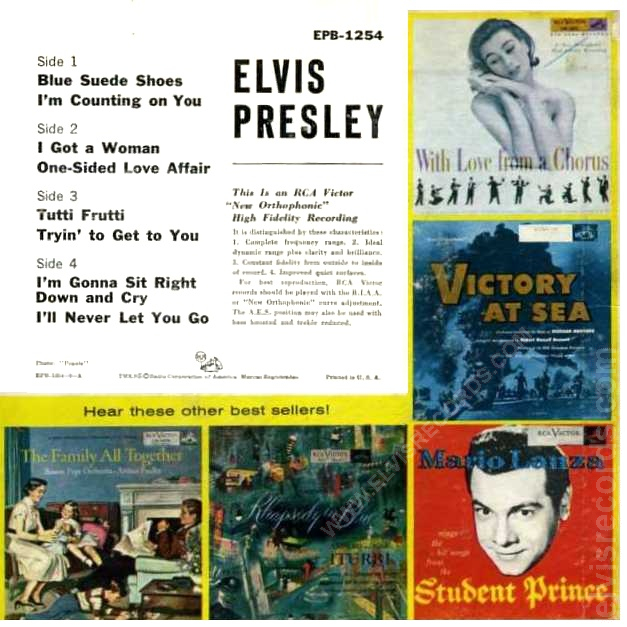 Cover Back: Ad back. 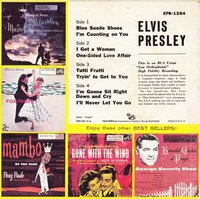 Enjoy these other BEST SELLERS! 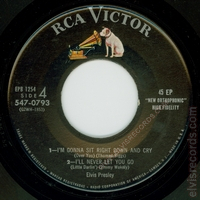 Counter-clockwise Music for Relaxation, Fox Trots, Mambo, Gone with the Wind, and Beautiful Garden of Prayer. 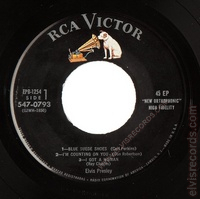 (4/1956). 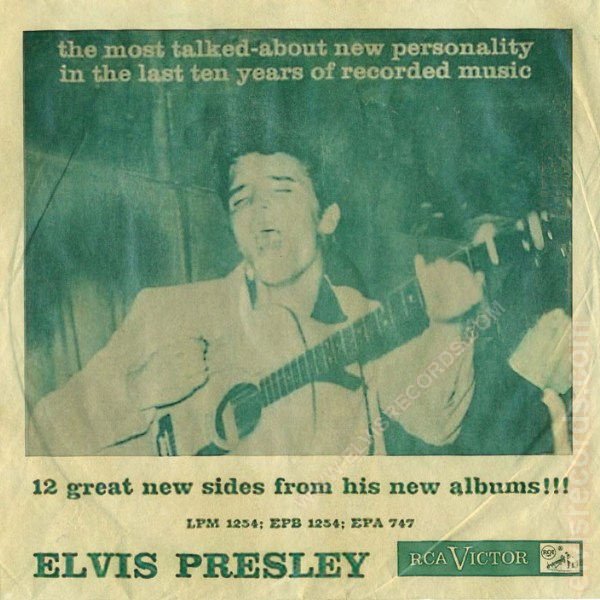 Cover Back: Ad back. 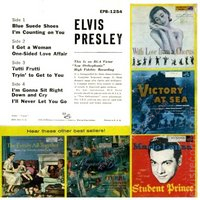 More musical favorites to choose from! 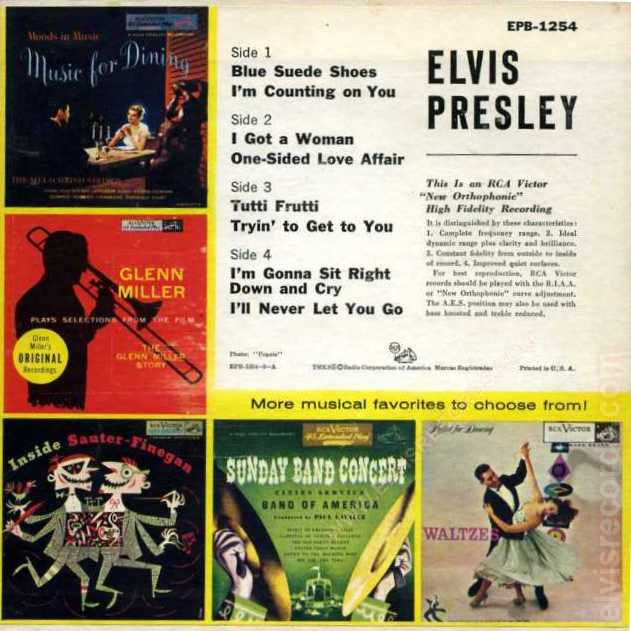 Counter-clockwise Music for Dining, Glenn Miller, Inside Sauter-Finegan, Sunday Band Concert, Waltzes (4/1956). 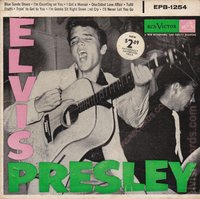 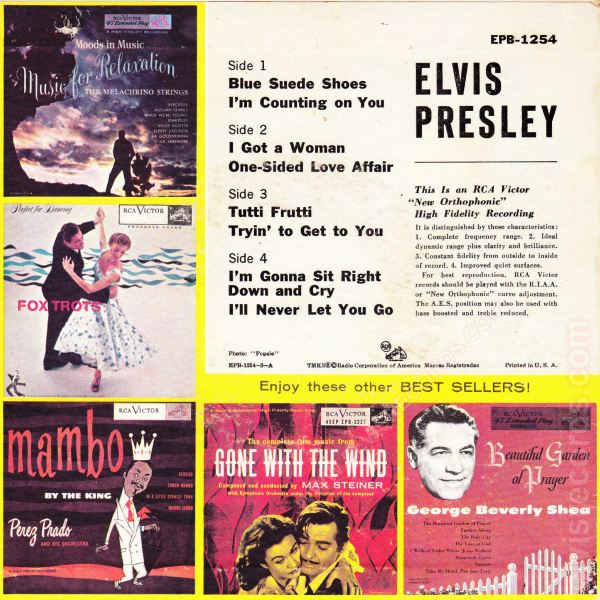 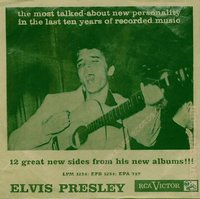 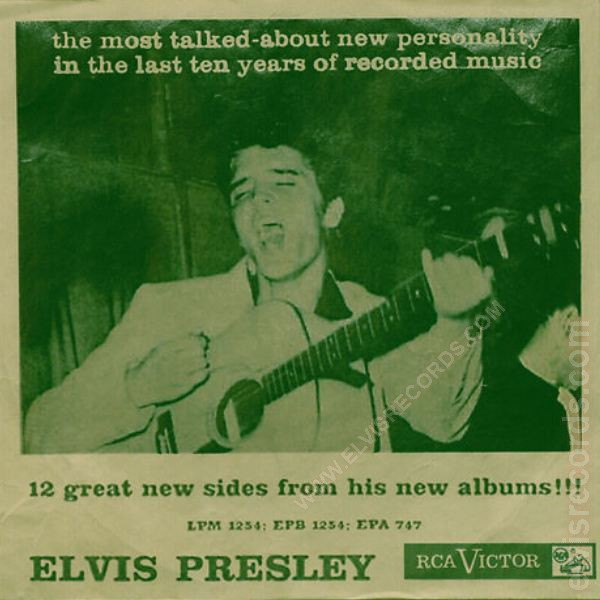 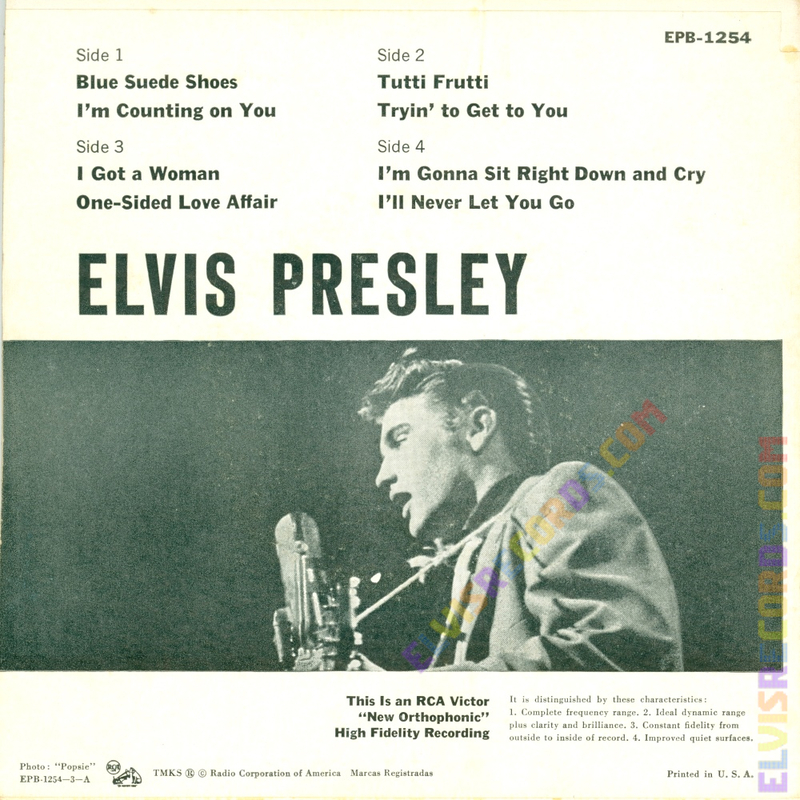 Cover Gatefold: Featuring picture of Elvis Presley with song titles to the left and several paragraphs on the right. 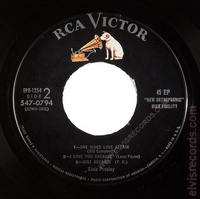 Disc: (3/1956)1 Black label, dog on top. 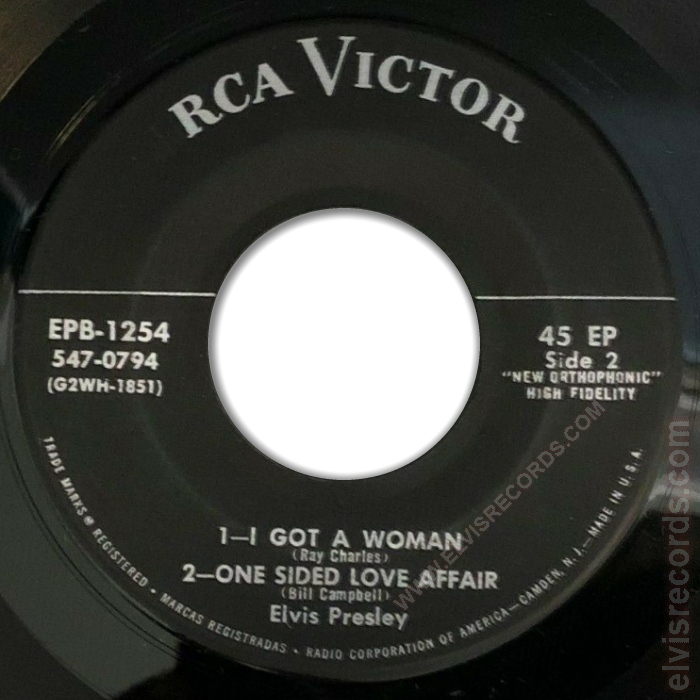 Without line. 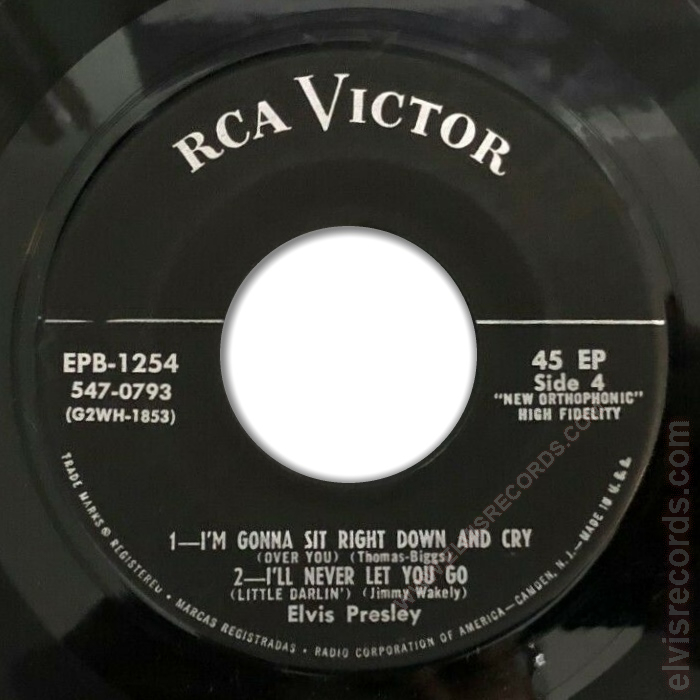 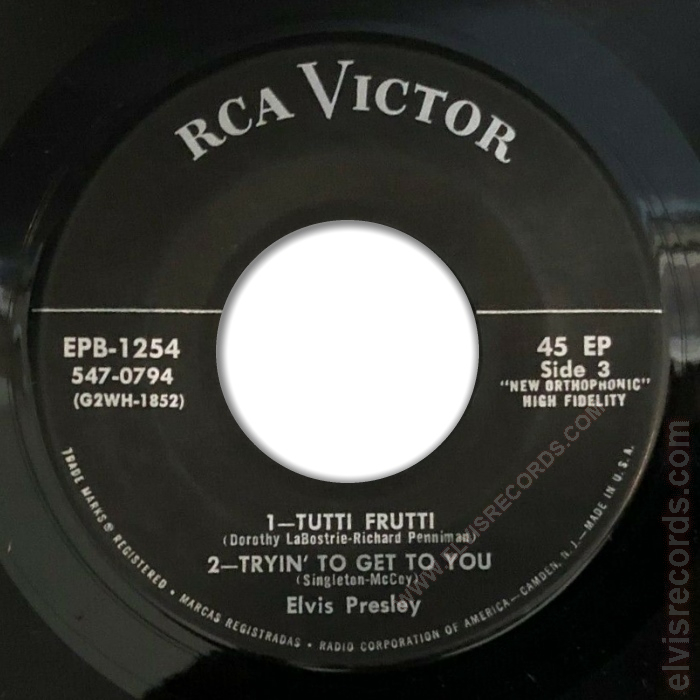 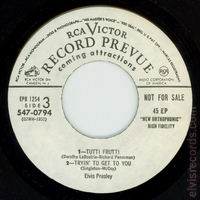 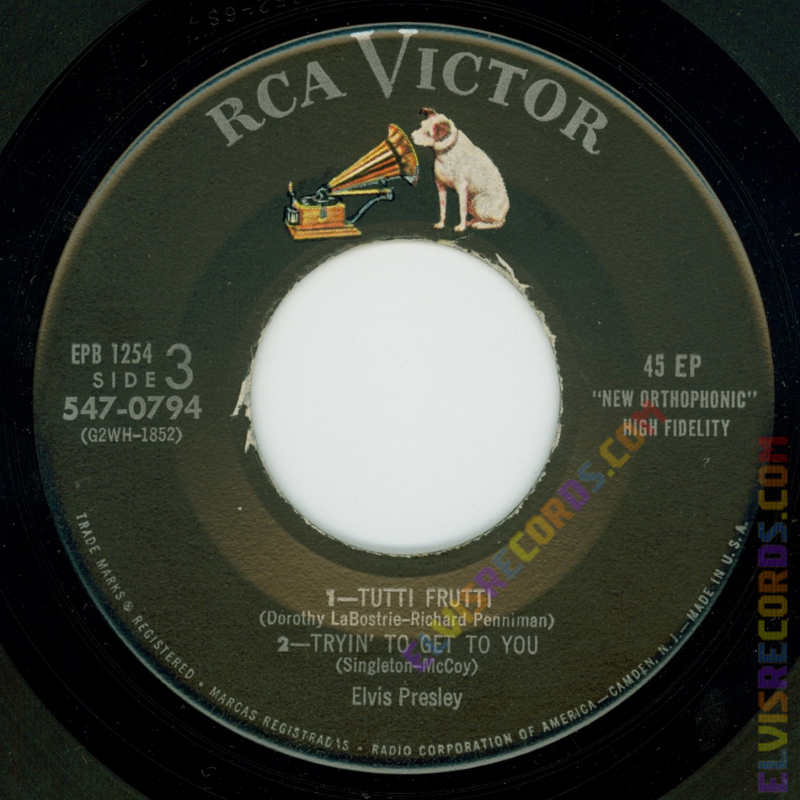 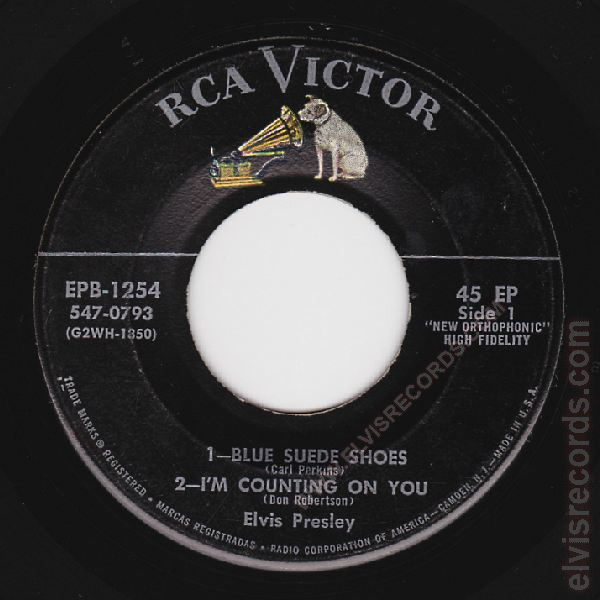 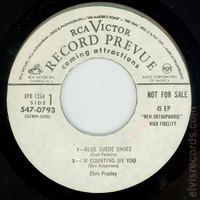 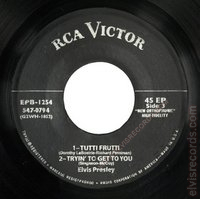 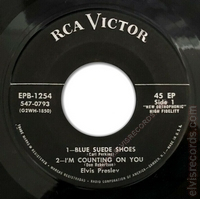 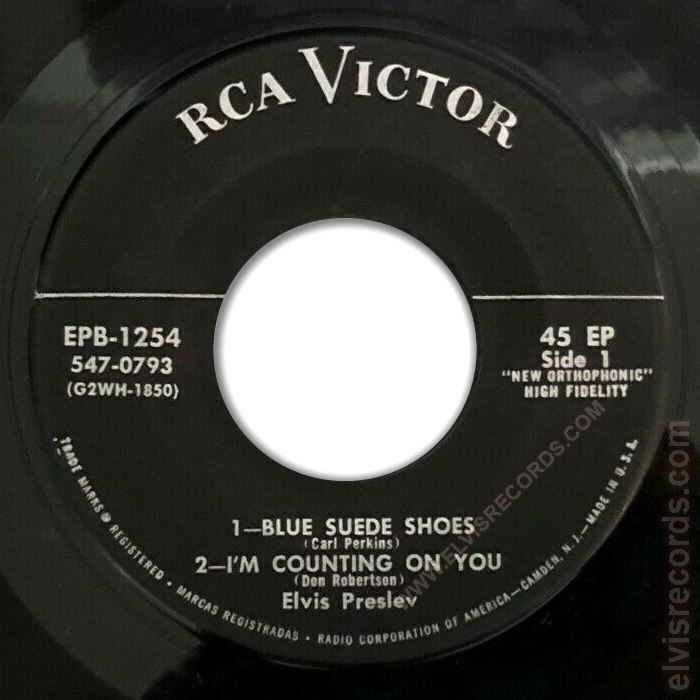 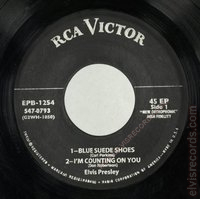 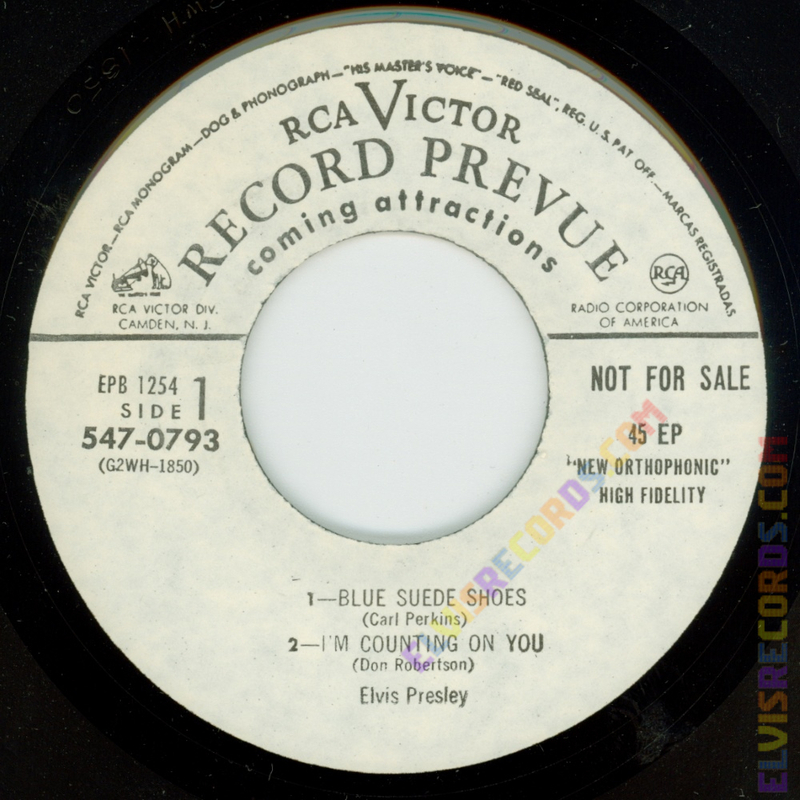 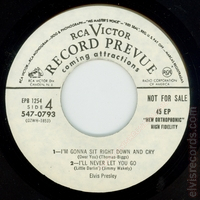 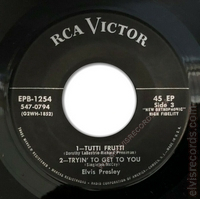 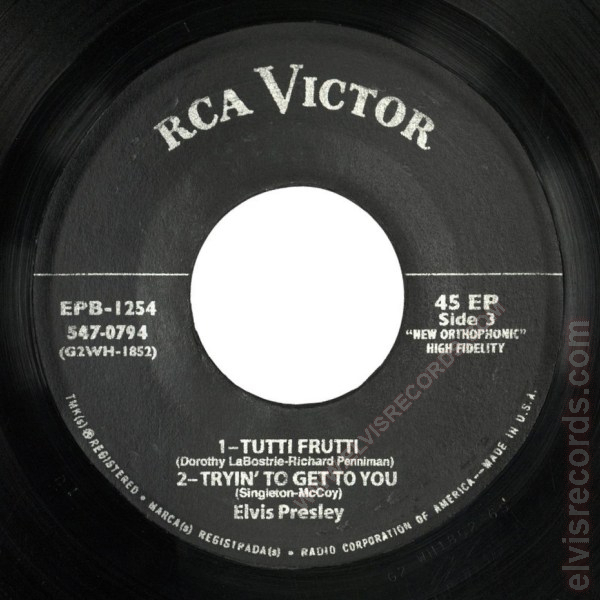 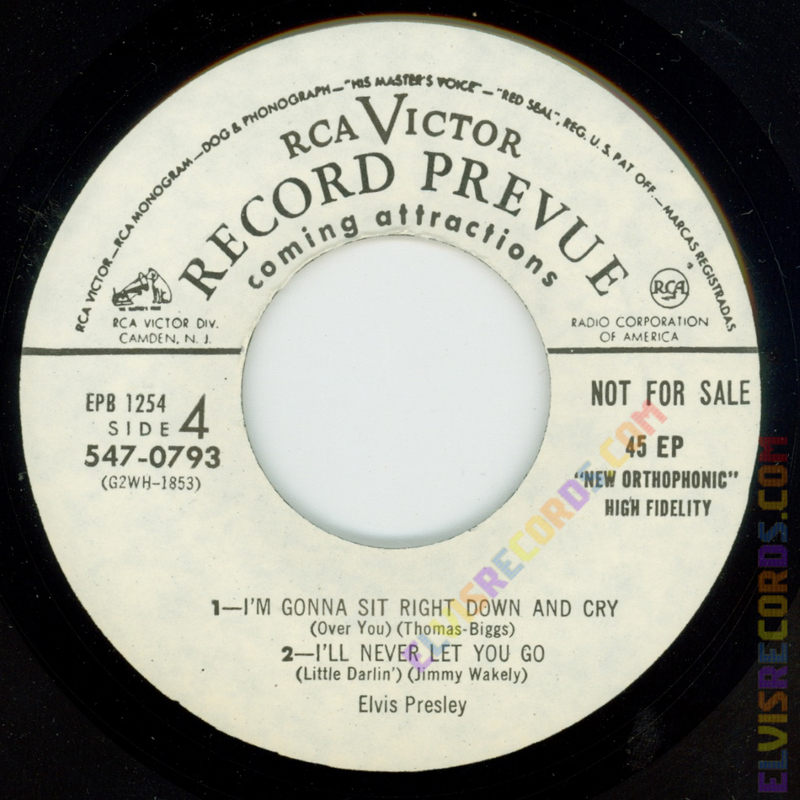 The RCA Victor Record Prevue is a counterfeit bootlegged in the 1970s. 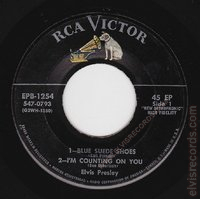 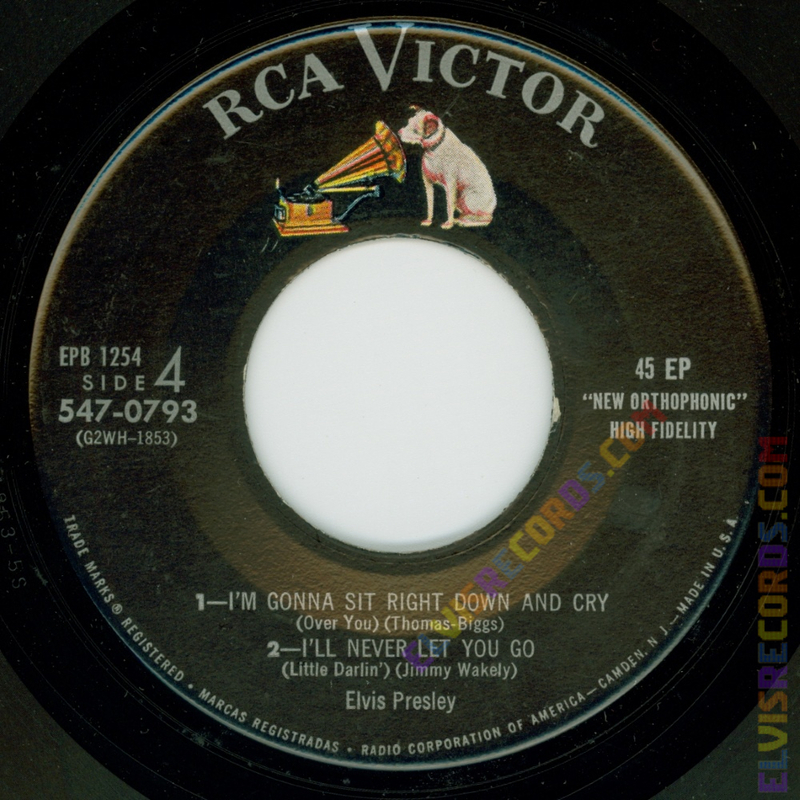 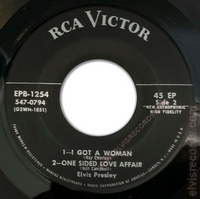 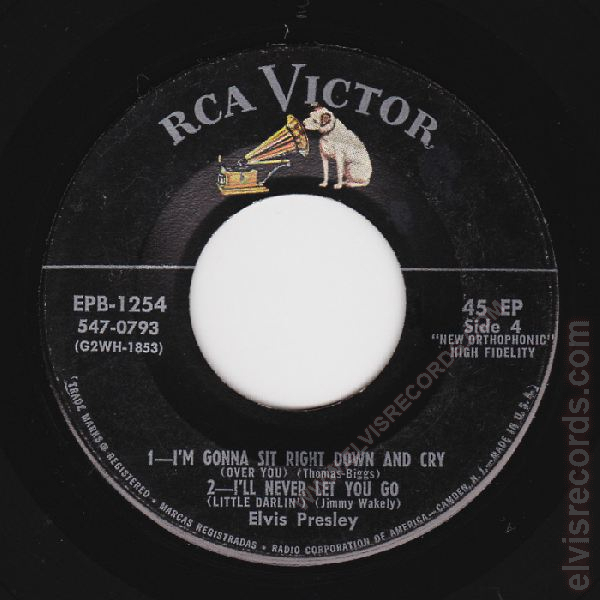 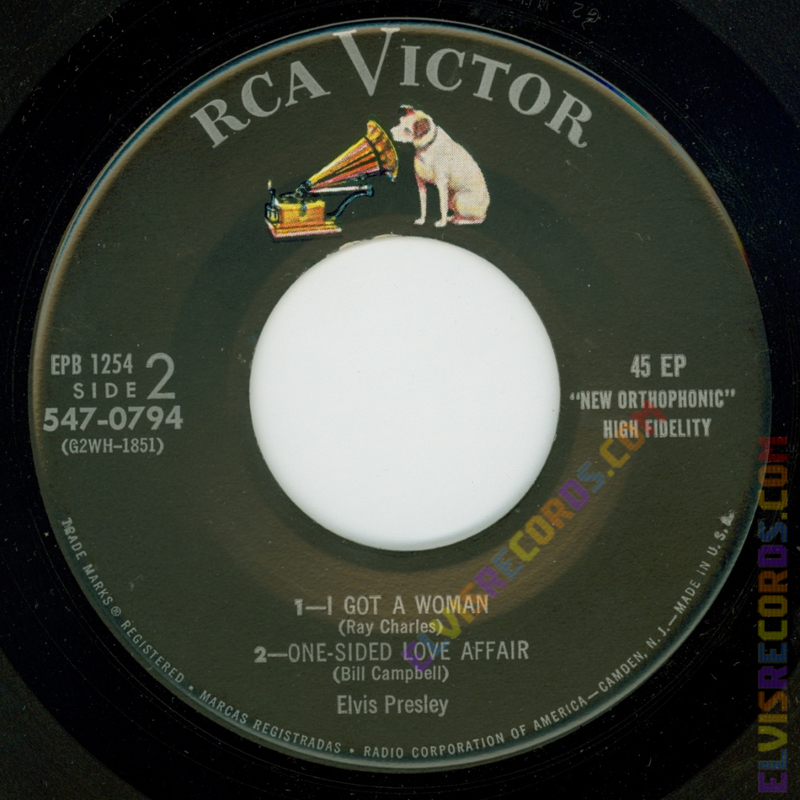 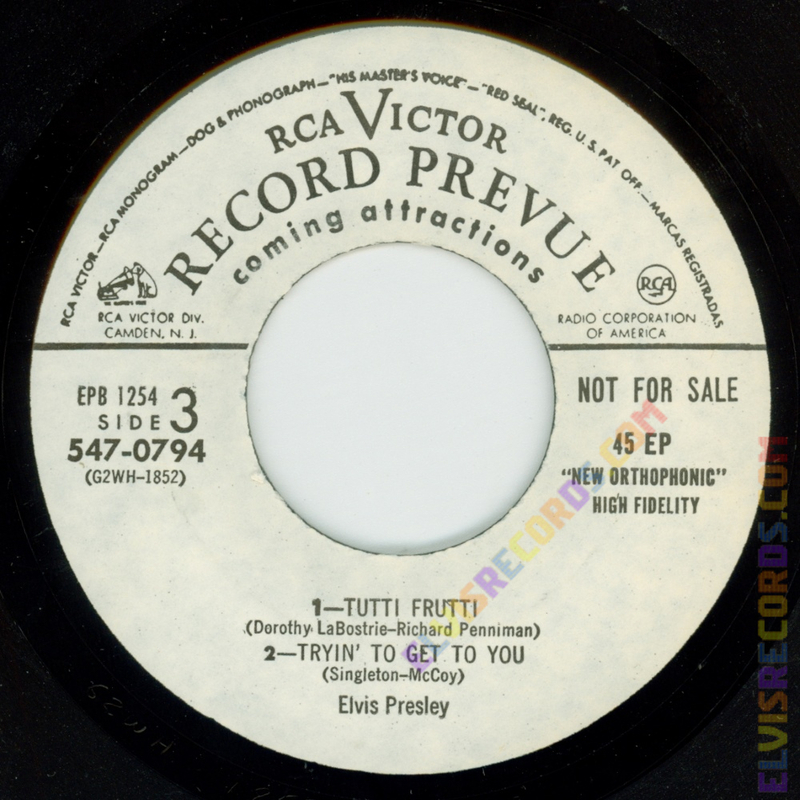 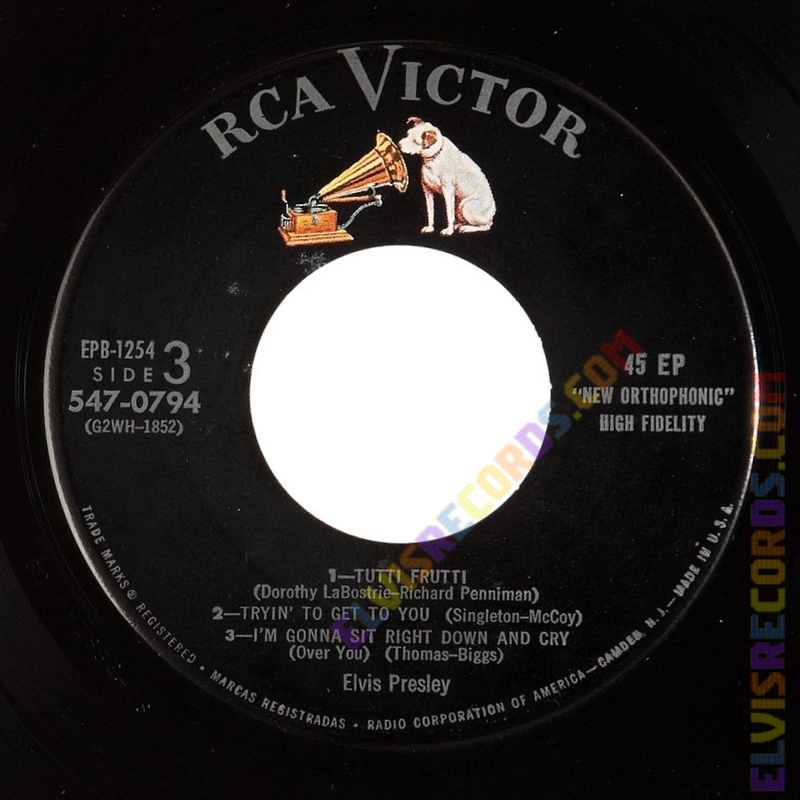 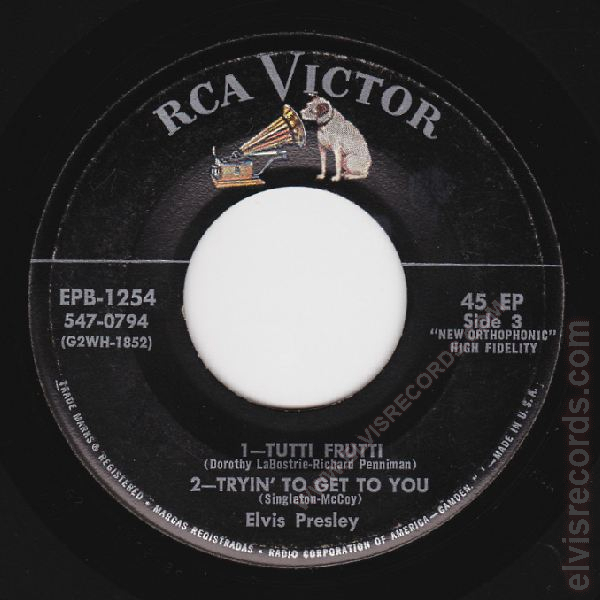 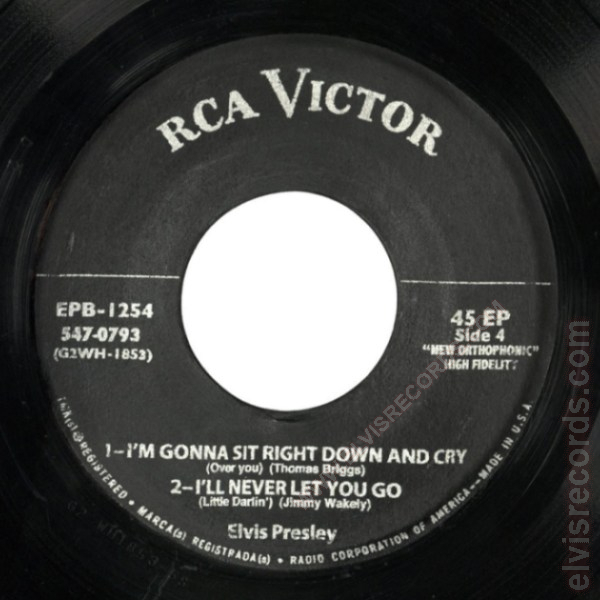 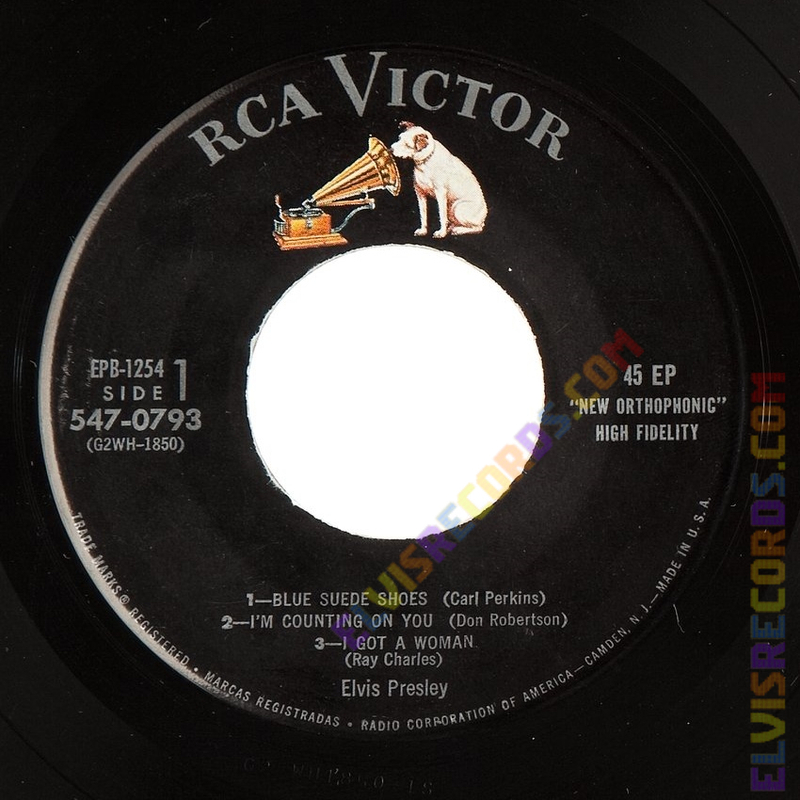 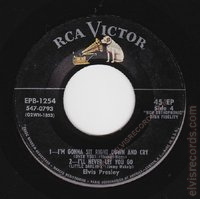 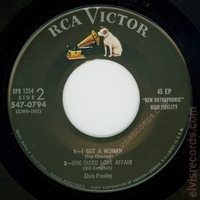 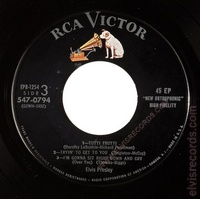 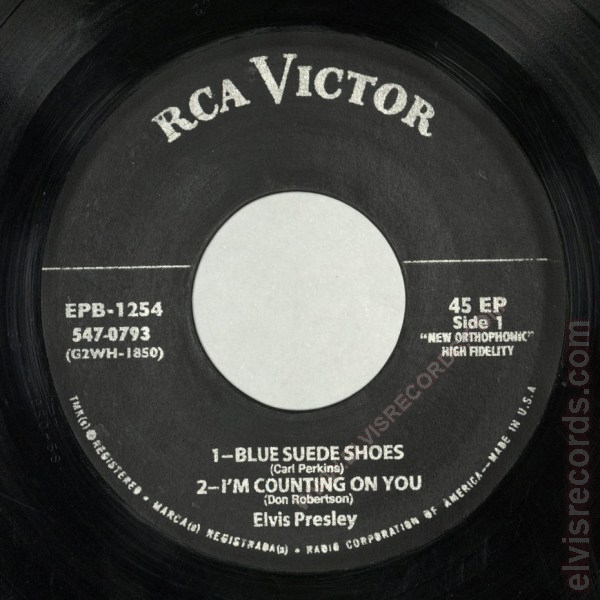 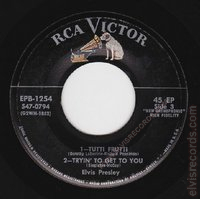 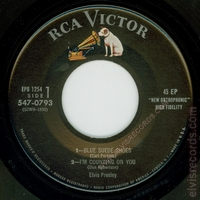 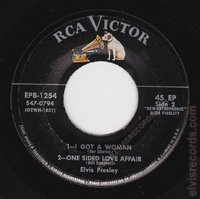 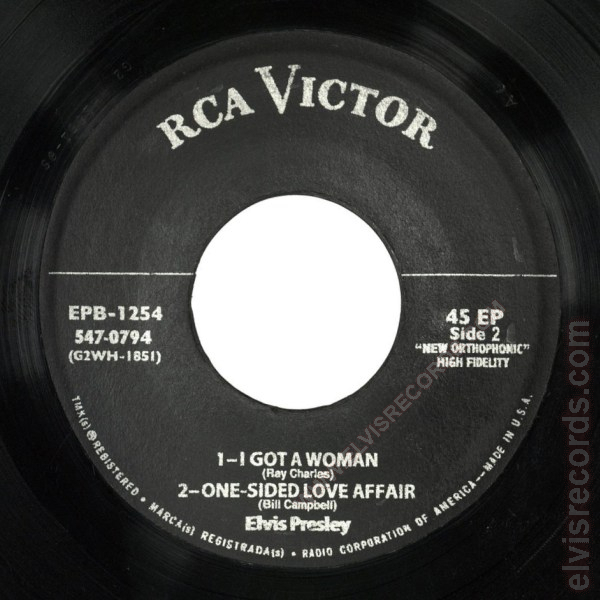 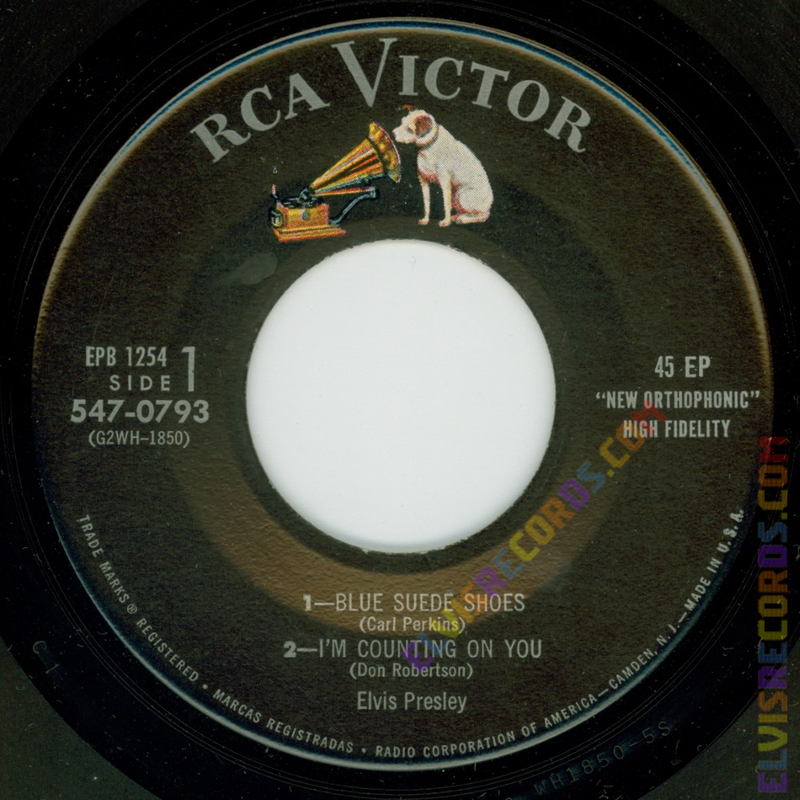 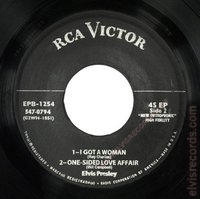 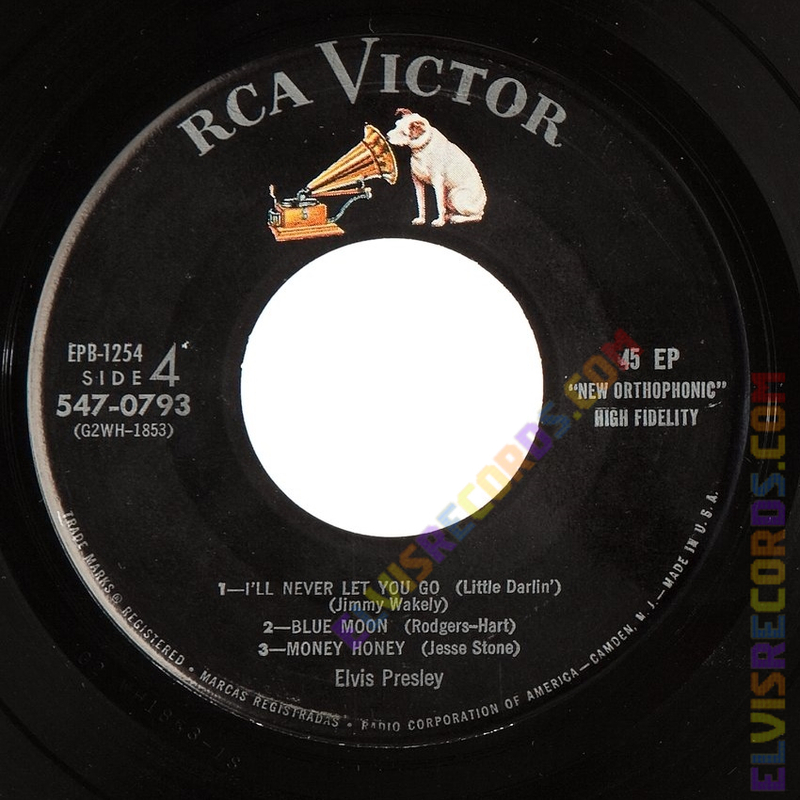 EPB-1254 was never originally released on the RCA Victor Record Prevue label. 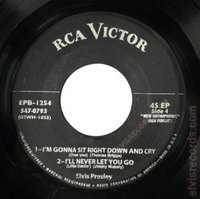 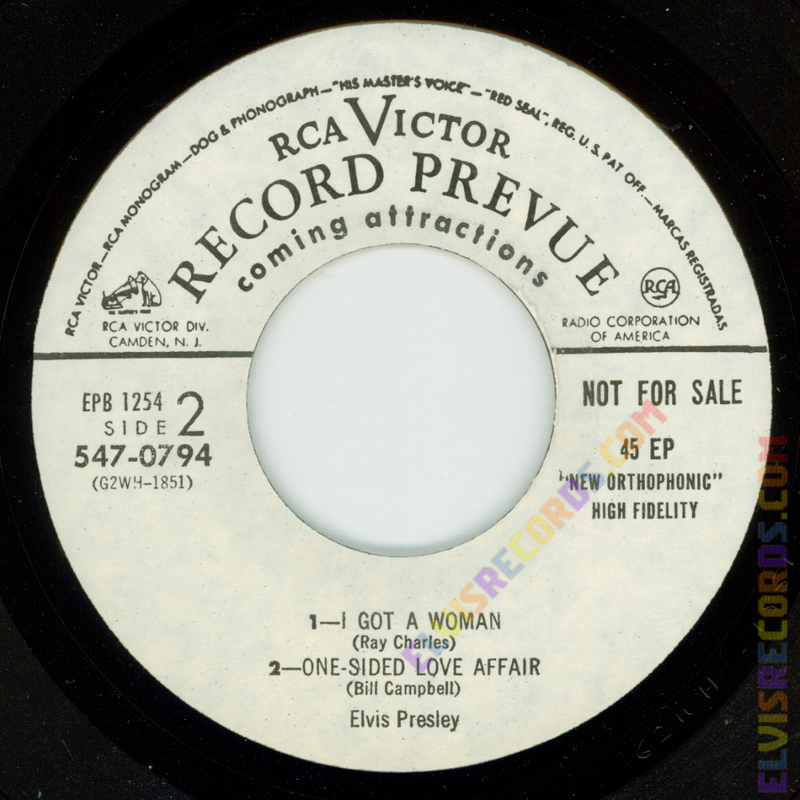 This bootleg can be found with no other RCA releases listed on back. 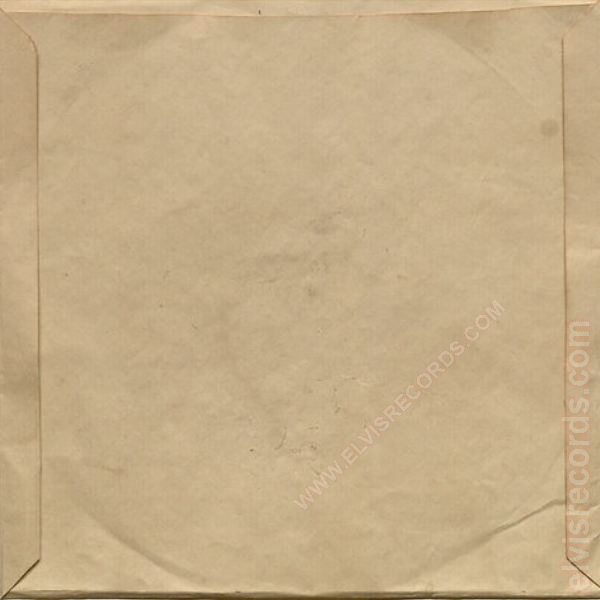 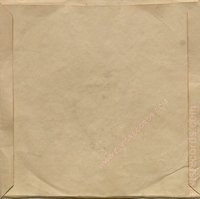 While the cover for this single from a distance looks accurate there cardboard is of a lighter and slightly thinner stock and the folds differ from the original. 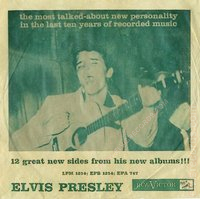 A complete package, the temporary sleeve with NM pair of records sold on eBay13 on June 19, 2012 for $3,050. A pair of records without the temporary sleeve has offers of up to $894 on Heritage Auctions14.